A home addition is a great way to add some much-needed square footage for your family. One of the factors that is not talked about as much in building a home addition is the heating and cooling of the new space. One solution would be to install a mini-split system. 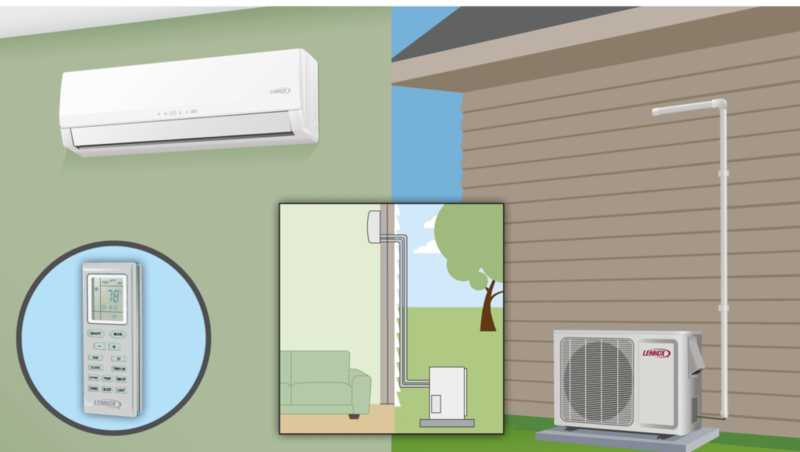 Mini-split systems, sometimes referred to as split systems or split-ductless systems, offer homeowners with a cost-effective way to provide more temperature control in certain areas of the house or to provide heating and cooling to an addition. The mini-split system comes with its own thermostat. Thus, you can save money by turning off the mini-split’s thermostat in the space if it isn’t occupied, while still keeping the AC on in the rest of the home. Not only are these systems great for home additions, they are also great for attached garages, detached garages, florida rooms, plus more. A bonus of mini-split systems is that it has no ducts. This is an advantage because it eliminates the energy consumption associated with the ductwork of centralized air conditioning systems. Ducts can account for a whopping 30% of energy consumption. Many homeowners may be concerned with the attractiveness of the system and may be reminded of those in-window units. The last thing they need in their new space is a huge eye soar! Thankfully, mini-split systems are about 7 inches in depth and can be installed in various ways. the indoor air handlers can be hung on a wall or suspended from a ceiling. For a more seamless look, mini-split systems can be mounted flush into a drop-ceiling. Plus, many systems come with a remote control to make it easier to turn on and off when it is installed in a hard to reach place. 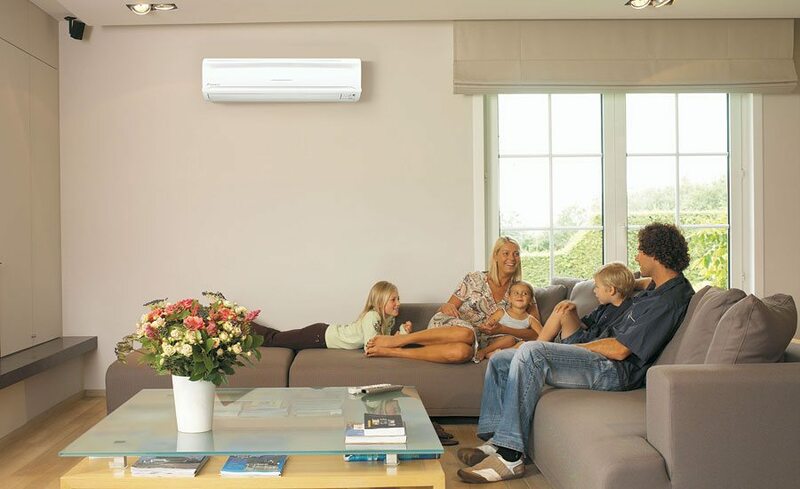 It is important to contact a professional to help you choose the right mini-split system for your space. Oversized systems can result in inefficiency. Thus, it is imperative that a professional come in and correctly install the unit to determine its most suitable location. Call Richmond, Virginia’s premier home renovator for over 30 years: Balducci Additions and Remodeling. We would love to schedule a free no-obligation consultation on your home’s new addition.